He now consults, talks, runs training programs, blogs, podcasts, and writes on his main interests of brand building, positioning and differentiation through his company “Gary Bembridge Unleashed”. Gary’s Unleashed on Marketing Podcast won awards in the European Podcast Awards in 2010, 2011 and 2012. Narrator: Are you interested in a property outside of our network? Do you need a second opinion? No problem. Let Jason’s experts evaluate the deal. For more information go to JasonHartman.com now. Jason Hartman: It’s my pleasure to welcome Gary Bembridge to the show. He is an expert on marketing, blogging, podcasting, and so forth and he comes to us today from London, England, a great place. He spent 30 years building global brands at Unilever and Johnson and Johnson before setting up Gary Bembridge Unleashed in 2012. And he’s here today to talk about some important and helpful stuff for our businesses. Gary welcome, how are you? Gary Bembridge: Great, I’m very good thanks. Thanks for having me on the show. Jason Hartman: Well good, it’s great to have you, especially noting the time difference, so. So tell us a little bit about your background if you would. Gary Bembridge: Yes, Jason as you said most of my background is kind of in global marketing. I originally was born in Zimbabwe, which when I was born it was Rhodesia at the time. And then I went to a university in South Africa. And then once I moved to London, about 25 years ago, I then worked in mostly global or European jobs. I’ve worked in Paris, I’ve worked in New York. But pretty much for the last 30 years I’ve been working in those kind of roles. And probably the last 25 of those I’ve normally had responsibility for more than just one market. So my real passion is kind of you know how do you build brands for very diverse audiences. Kind of how do you have one brand ideally, which doesn’t always work, but largely speaking, and how do you kind of mold that for a very diverse market. So that’s really my background. Unilever, as you mentioned. Most of my career has been at Johnson and Johnson on the consumer side, not the pharmaceutical side. So I worked on things like Johnson’s baby products. I spent a lot of time actually when we first started in Europe was Johnson’s Baby, taking into China. Then I worked on the more skin care side of the business and did also some of the ebusiness side, covering the whole dot com boom and stuff. So I’ve had quite of a diverse career, but always kind of with a global slant to it. Jason Hartman: And a big corporate slant as well. Now, would it be fair to say, Gary, that your slant is not on the big corporate market now, or are those your clients? From the looks of your podcast titles, looks like you’re appealing to smaller businesses to some extent. Is that correct? Gary Bembridge: Exactly, exactly. I mean I think one of the things that was interesting, even working at an organization like Johnson and Johnson is although it’s evolved a bit, but Johnson and Johnson’s a very decentralized organization. So you always feel like you’re working kind of for sort of medium size to a small company. Obviously you have the clout of a big company. But the thing that I found really interesting, which is also the reason I wanted to start my own thing, was I found particularly with the dot com age and the internet, no matter how small you are you can become global because of the reach of the internet. And actually I found that there was a huge opportunity and huge passion amongst much smaller clients. So I still do work for bigger clients I’ve done some work say for Tate & Lyle and I’ve done some work for PR agencies. But my real passion is kind of how do you help smaller organizations kind of wrestle with being more global. And so that’s what I started to do. So when I did the podcast I saw a big opportunity there, particularly to talk to people who were perhaps a bit smaller and didn’t have the training or the access to the clout of big organizations to kind share in some my learning. Jason Hartman: So what are some of the best things that you think a small business and infopreneur, speaker, author, consultant, what are some of the best tools you think they can use today. I have a feeling I know the answer. One that’s near and dear to both of our hearts. But what do you think are some of the best opportunities that they should be chasing now? Gary Bembridge: I mean in terms of the biggest opportunities are clearly the stuff that you do on line. Whether it’s digital and largely anything that’s kind of digital. Or even stuff that can be sold digitally but mostly delivered, you know maybe it still has to be physically delivered, because as the DHL and those kinds of things have got to understand globalization much better. You can also sell globally and still provide delivery quite quickly. But I think there’s huge opportunity for this whole kind of information digital product, or digital delivery of products. I think that’s probably the biggest opportunity. I think the second opportunity, which I do think is very interesting, which is again slightly more slanted to the physical side is where you have something that’s either very specific to a region, or very ethnic , or other region that you can actually then sell more globally. One of the things I’ve seen for example is with my skin care background is increasingly with the drive into more natural products people are looking for products with some authenticity. So whether it’s products perhaps formulated in Greece with herbs and spices and products that you find around the Greek islands to create skin care products. But then there’s a real hunger around the world I think for natural products, products that come from small communities. And I think that’s a whole other side. Before if you were doing that locally you would never have the market for it. But now you can have a big market for that. I think as you see things like eBay and stuff, made people realize that you can access small individual things from a community on a global basis. Jason Hartman: Sure, well that’s really the benefit of the long tail concept right? Jason Hartman: Fantastic. Well let’s drill down on the first part which is of course the digital and the internet side, because it’s easy to execute at incredibly low cost, and very high scale potential in terms of opportunities. Talk to us a little bit about blogging and podcasting if you would. Gary Bembridge: Yes so I have kind of two hats when it comes to the whole podcasting and blogging side. The marketing side, which is the thing we’re talking about today, but also I started in travel as well podcasting about 2005, blogging and podcasting and videos. So I have those two sides to me and I’ve seen those two things kind of grow in parallel if you like. You know I think probably what I’ve learned from the travel side is that’s probably much more advanced in terms of how sophisticated bloggers are,, how sophisticated podcasters are, the growth of video. And that’s what I found particularly interesting and that’s why I’m increasingly trying to see how can I apply that much more to the marketing side, because I found the brands are much quicker to engage, for example with travel bloggers, cause of the nature of the beast. People are traveling and moving around. Video is a big and very fast growing trend versus the written word. And what I tried to start is where audio is growing because people are wanting to listen to things, access things on the go. So what I’ve been trying to do is pull some of those learnings much more on the marketing side, because I think up until now when we tend to think of this whole world we think of the written word. And what I learned from my travel side is some people like to read, some people like to watch, some people like to listen. And that’s what I think particularly for marketers or people in this whole kind of information world is thinking much more around taking content and repurposing it. Which is what I think people did in the travel world very well. And that’s what I’m starting to experiment more with. I haven’t done a lot on the videos, but I think that’s a real sense of the audiences are very different. And even when they want to read, you know one of the things I started to experiment with and I’ve seen a lot of other people experiment with is again thinking about repurposing content. So you have the eBooks on Amazon or those kinds of mechanisms and. . .
Jason Hartman: Well give me some examples of repurposing. Like what starts people’s minds and thinking what ideas are out there for that? So what types of examples for repurposing? Gary Bembridge: Can I give you a travel example because that’s probably the easiest? Gary Bembridge: So for example one of my passions is around cruising for example. So what I’ve done is have done some work with MSC Cruises. They were launching a new cruise ship so I had an opportunity to go to the naming ceremony and go on the maiden voyage. So in a traditional way what used to happen and what they were kind of expecting is a couple of articles that would be written and posted on a blog. But what we did through that process is think through the whole life cycle of a decision about people going on a cruise. So instead of it just being about writing some blog post about the experience, what we did is kind of sat down and said okay let’s think about yes we’re covering the maiden voyage, but in reality that’s a snapshot in time. How can we make sure as we think about the content of the experiences, think about delivering that in different way to actually talk to different audiences along a purchase cycle and decision making of a cruise. So what we did for example is the core content is kind of the same; the ship, the ship review, videos of the ship, exploring the ship, the destinations and that kind of stuff. But then kind of what I looked at is saying okay let’s imagine you thinking of going on a cruise. So what are sort of the tools and mechanisms and form of content you may want before you go on a cruise? So for example, edit the video which is all about the experience of going on a MSC cruise, and why that might me nicer than an alternative. So it’s kind of the same material as later on was actually in the purchase cycle as when people made the decision to go, they want to know what the ship looks like and what cabin they should choose. So repurposing the content a little bit around talking much more around, so this is the ship facilities, this is what the different state rooms look like. Here’s the benefit of this stateroom versus this is that state room. So we basically thought about all different content and packaged it in different ways. So another example is one of the things I found was I put together an eBook which I put on Amazon, or people can also download it. Which again what I found is most people downloading that, it’s people who have made the decision to go on a cruise and are looking for something to keep them excited in the 3 months, 6 months, 2 months since they made the decision to go. So get an eBook, which all around hyping the sell, but then talks about planning for embarkation day. Making the most of the ship once you’re on board. It’s really just thinking through that whole kind of process. So largely speaking it’s probably, I don’t know, 89% of it is the same content, repurposing it for the journey and then repurposing it a little bit for format, whether it’s a blog post, or podcast, or a video, or whatever. I don’t know if that makes sense. Jason Hartman: I always believe you create content once and use it as many ways as possible because people have different modalities for which they like to learn. Some like to read, some like to listen, some like to watch. It’s good to mix up all of those media, so one of the things I’ve done with some of my companies is I turned my blogs, my text content into podcasts, into audio podcasts. And just hiring a voice over person to go and voice those or you can of course do it yourself. And we’ve got other podcasts like this one that we’re doing now, and that will be transcribed and the transcript will be posted on the blog, so there converted audio to text, before we converted text to audio. A lot of stuff to do there. That’s a great point, you know scale up the content and use it in multiple mediums. Gary Bembridge: And I think also Jason building on that point is also one of the ways of repurposing content is that point about the audience. And you were asking the question earlier on so you know you come from a big corporate world, you now seem to be talking to a smaller medium. A lot of the content is the same and the tools are the same, but actually repurposing it for the audience. So again you know 80% of it, 90% of it maybe the same, but it’s insuring that you got the right spin or the application. So one of things I’m building on your point is I’m actually going back looking through them all post and thinking how can I either create more of a series out of this or how do I actually repurpose it for different audiences. So whether it’s someone starting new in marketing who perhaps needs a more how-to approach versus perhaps someone who’s more experienced, but the spin is more around using this in an inspirational way. Again all the fundamentals are the same, it’s the audience. And I think that’s probably an underutilized opportunity for people in the digital informational space segmented by market. Jason Hartman: Very good points, good. What else? Any particular techniques for being a great podcaster getting attention now. On your podcasts, are they purely audio or do you do audio and video? Gary Bembridge: On my marketing ones at the moment I only do audio. On my travel ones I do audio and video. I haven’t yet gotten into the video side, but as you say I think it’s something I want to experiment much more with. I’m used to longer formats, so one of the things I’ve learned with my travel ones is the video ones probably in many cases needs to be a little bit shorter. So I’m thinking about how do I break them up into more of a series if you like, more 1 or 2 core ideas. So, at the moment, I haven’t done a lot of that, yet on my travel side I have. 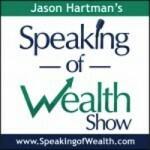 Jason Hartman: How about getting viewers or listeners? I found the more you go and talk to people who have the same interest of you, that conversion if you like is very good. So one of the things I’m trying to do much more is look kind of offline for people. That’s kind of the thing that I’m finding as being. . .
Jason Hartman: Okay, so let me talk to you about that for a moment. We had a problem with that and we were, for one of my companies, we get a great bunch of listeners through iTunes and just the web in general of course. And it’s got to be very organic unfortunately. I wish you could throw some money at it and just capture more listeners. But it doesn’t seem to work very well that way. The day iTunes allows us to advertise, I will be spending a lot of money with them. If they’ll put my podcast in their features section or you know advertising section that’d be great. But so far that is not the way it works. It’s just all organic. And we had a big challenge trying to convert people from say AM talk radio to podcast, because what we found Gary is that a lot people just didn’t know what a podcast was, they didn’t understand how to access it. You know and it seems like the demarcation point is like 45 years old. If they’re younger than 45 it’s like okay they know how to access a podcast, but older than that it’s like well I’ve heard of those but what is that, how do you get that. You know it’s challenging to bridge that gap, any tips on that? Gary Bembridge: No, it’s the one thing I’m still kind of wrestling with, cause I found the dangers people make are to listen to one particular episode which they access online. I think your point, well there’s two points linked to that is, 1, hopefully on iTunes will be a better way of kind of sorting, segmenting, and searching. But actually one of my even bigger concerns to that, which may be slightly important, but hopefully is linked to that is one of the things I’m seeing is with the growth of kind of non-Apple smartphones, that for me is a big concern around podcast. Because in the UK, for example, I know it’s slightly different in the US. But Android smartphones dramatically now outsell Apple iOS systems, and I think that’s a big risk for us as podcasters is because podcasts are so integrated into iTunes, pretty much all of my podcasts have come from Apple devices. And one of the things I’m trying to figure out, which is sort of linked to your point, and I haven’t solved it yet, is how do we make sure that as Android phones grow, where it’s less integrated, do we make sure that people understand what is a podcast and how do they access it. I haven’t found that answer yet and an even more urgent issue is as urgent as the challenges or limitations within Apple. I don’t know if you have any. Jason Hartman: Yeah, I think those are very good points and first of all I use all Apple products, but I got to tell you Apple really needs to hit it out of the park before the holidays here and then next year maybe with the iWatch. I mean the expectations are so high admittedly because they’ve done so many great things in the past. But now that Steve’s gone, I don’t know, I think they need really, they really need to do something that’s going to amaze to get the excitement back, because it just doesn’t seem to be there. But, yeah, you know that’s an interesting point. So what you’re saying is that the Android device they’re not as integrated and so you think that podcast listeners in general will not grow as quickly, because it’s not growing in the Android world or it’ll be harder to find your podcast in particular. Gary Bembridge: For me, it’s a real concern because when I look, and most of the podcasts I know, and even listening to interviews of people from Lisbon and people like that, is the vast majority of podcasts are consumed on Apple devices whether it’s the iPhone or iPad or whatever. And whilst Android is growing, it’s very, very small, but I know that the growth of Android phones is much faster than the growth of podcasts. And it is quite difficult. In fact, someone I know, my partner’s mother had got an Android phone and I was trying to get them to sign up to podcast and it was quite a struggle because it’s not an intuitive as integrated. So it’s kind of a double hit if you like, people not knowing what a podcast is plus it’s not as integrated. And for me finding a way, or hopefully someone will find a way of making it more integrated or will it be a drive to make it more integrated, but I think it’s a big risk for podcasting. So that’s a concern I had. I think podcasting is growing, when I listen to all the stats it’s growing. But I could assume it’s not growing as fast as it could be if it was as prevalent on Android phones. Jason Hartman: What do you think is the future of podcast advertising? Gary Bembridge: In terms of people advertising on podcasts? Jason Hartman: Yeah, you know it just seems like there’s such an opportunity there number one for advertisers I think and for podcasters to earn revenue from it. Gary Bembridge: Absolutely. I mean that I think is very interesting is actually the sponsorship side and that’s actually where I found it much easier to have those kind of discussions where actually people who are aligned with a particular podcast on a particular topic. And actually they want both, they want reach, but they also want frequency of message. So that’s what I think is very interesting is finding again a mechanism for sponsoring the podcast. And, actually, I’m finding increasingly people staring to reach out to me with an interest of sponsoring a podcast for a period of time covering. But it’s brands which are less time specific or message specific, because they understand that point of the long tale. And, I guess, for most podcasters, 50% or more of their podcasts are consumed way after they’ve been issued unless they’re very, very time sensitive. And so I think that’s quite a big sell for podcasters is the fact that if you sponsor a podcast, particularly you’ve got a brand that’s around or a message that’s around for some time, you can obviously get a reach when you first do it, but you’ve got a very, very long tale, potentially of years and years and years. I think that’s a big opportunity. Jason Hartman: Oh, I think so too. I just think it’s a huge opportunity. Very good points, very good points. What else would you like people to know or what other tips would you like to share. You mentioned Lisbon do you use Lisbon for you podcasting or do you use Amazon’s S3? Gary Bembridge: I used to sort of host it myself, and then I move to Lisbon and I wish I’d done it in 2005 if they were around, because I found that a very powerful tool. First of all you know the speed has been very good getting some of the stats and actually just makes it so much easier in terms of the whole RSS feed and all that kind of stuff. I’m actually now gonna move them on my back catalogue onto them. When I started it was much more manual I think than in 2005 and I think tools like that have been very, very helpful. Jason Hartman: Any other tools for your blog, for example, do you use WordPress or you know any other software? Gary Bembridge: Yeah, I again I started on blogger years and years ago in 2005 and last year I moved to WordPress, which again was the best thing I ever did and I wish I done it ages ago. I kind of resisted doing it because it seemed like so much work. But just the kind of flexibility and the ability to constantly evolve. Because I think one of the dangers is making sure that everything is constantly looking fresh, looking new and evolving very fast. And I think the great thing that I found with WordPress is that ability to just be constantly evolving. So if you look at my site at GaryBembridge.com and still on Blog Out. And I keep looking and thinking it looks like it’s from the 1950s. But I know with WordPress what I’ve done with my travel sites and other things I’ve done is I can be constantly evolving those. And knowing that behind that whole thing is lots of passion whether it’s plugins and stuff that are gonna keep moving with the times. You know that stuff for me was a big step. Jason Hartman: Fantastic, good. Good stuff. Give people your website and tell people where they can find you. Gary Bembridge: From the marketing side people can find me at GaryBembridge.com, which is where I do my Unleashed on Marketing blog. And then if anyone’s following me on the travel side it’s TipsforTravellers.com and traveler’s spelt the UK way with two LLs. Those are my two kind of main sites. Jason Hartman: Good stuff. Well Gary Bembridge thank you so much for joining us today. Gary Bembridge: Thanks very much for having me.